Lake Powell Cruisers is planning the 2019 Cruisin’ Page/Lake Powell Car Show for the first weekend in May. 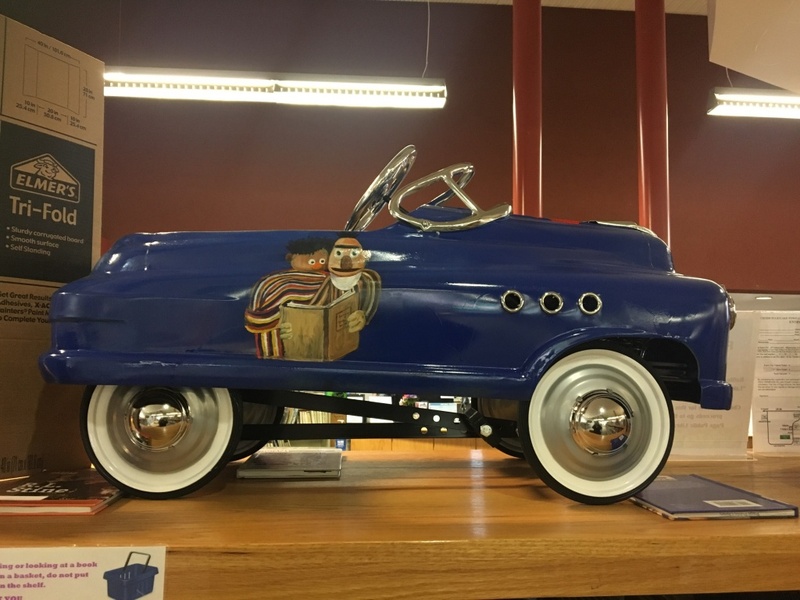 The event held every year at John C. Page Memorial Park, and along with the classic cars, Lake Powell Cruisers will again be including the Pedal Car Build Off as part of the excitement this year. Ten kits to build either a fenderless Hot Rod or a 55 Chevy. Pick up a kit, build the car and then pimp your little ride out however you choose. Folks at the car show will judge all the car entries which will be on display at the show, then the vehicle is given away in a raffle. 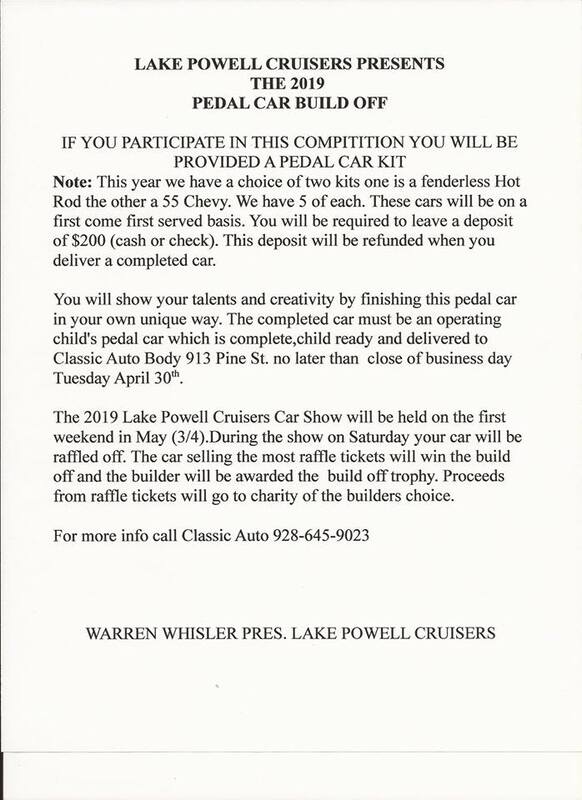 Nice way to help make money for the charity of the pedal car builder’s choice. For more information contact Classic Auto at (928) 645-9023.